Someone mentioned this website and I had to check it out because I am a sucker for (1) pretty graphics (2) planner pages and (3) anything FREE! GetPaperWorks offers both free and subscription planning items each month. 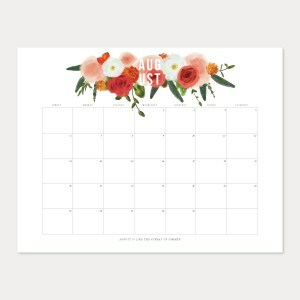 The free sub gives you a calendar, scripture cards, various wallpapers for your technology as well as one other item which I can't remember! If you choose a paid option, there are 3 levels that allow you to either print out the items or have them printed and mailed to you - it just all depends upon your needs and your budget. I signed up for the free items and received an email offering a free month to try out the basic printable subscription. I decided to use the code and use the free month to have a look around and see if it was worth paying the $9/month for the basic sub. The offerings are varied and there is something for everyone - all kinds of lists, note cards, planning pages, book marks, etc. As long as you are a member, you have access to the Gallery of past items.